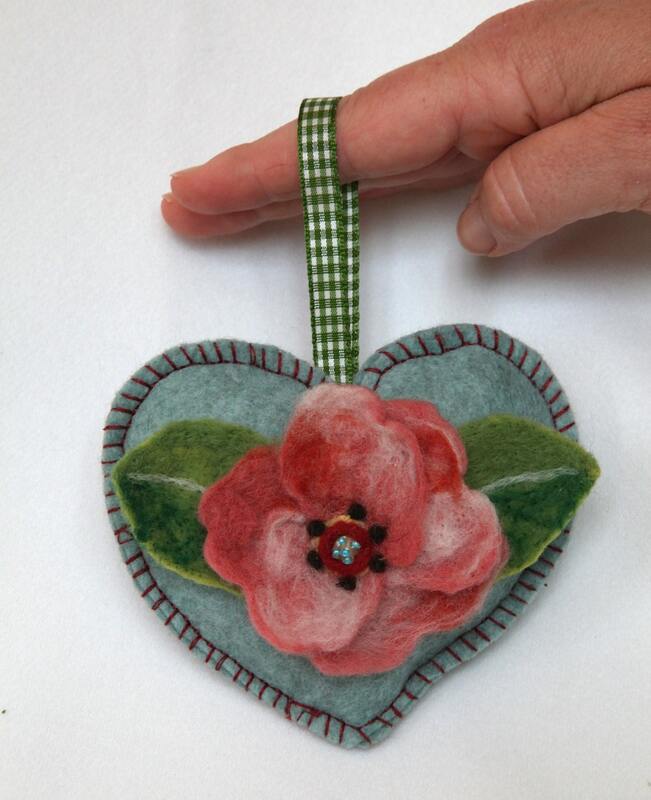 This is a rose flower brooch needle felted with pure soft merino wool and pinned to a lavender scented heart. The colours of reds and soft pinks are gently blended so each petal is different. The flower is given a light sparkle with small beads sewn to its centre. The flower is attached to a brooch pin which unhooks from the heart so both hanging heart ornament and brooch can be used individually. 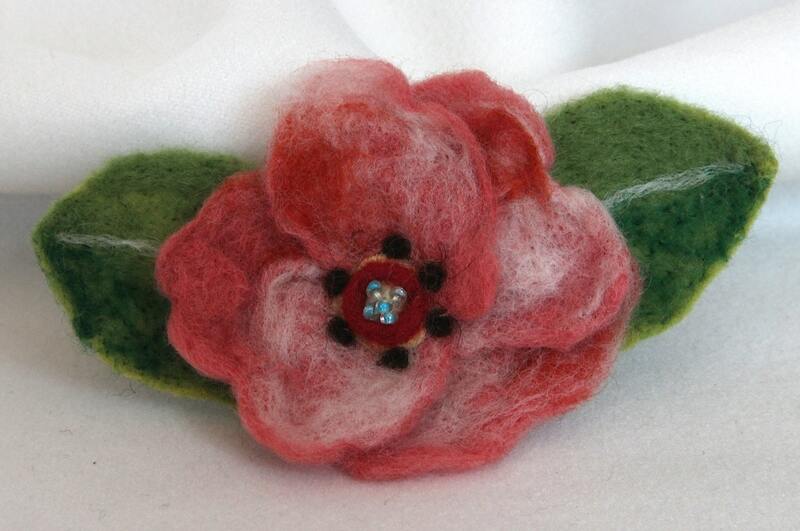 The rose brooch is lovely on jackets and summer dresses but also looks good as a scarf fastener. The heart is scented with Tuscan lavender from my garden. 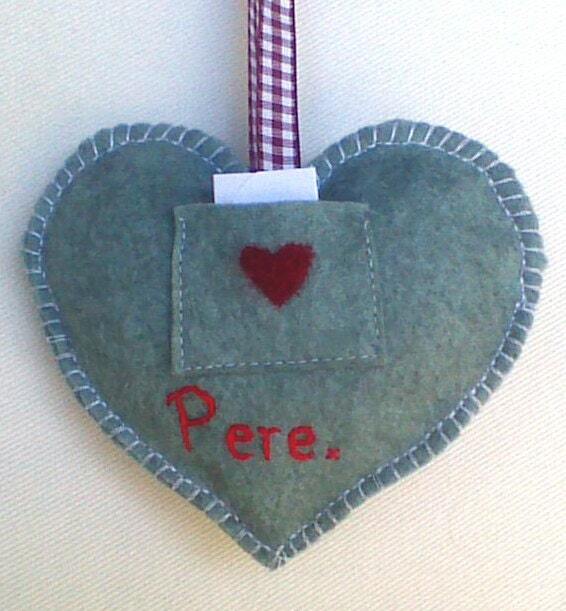 This hanging ornament looks lovely hanging on any handle or peg around the house or snuggled in a drawer to freshen clothes. I am ready to ship in 3-4 days. 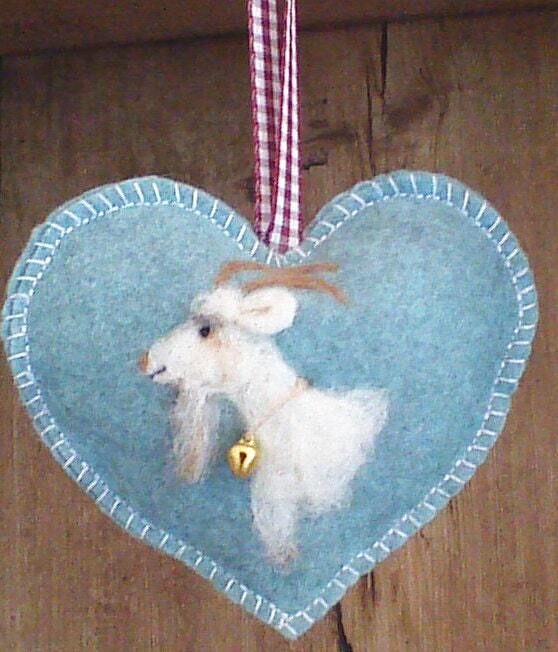 For the goatee heart go here https://www.etsy.com/listing/192525407/heart-shaped-hanging-ornament-needle?